Which are you a Hebrew, aJew or an Israelite? 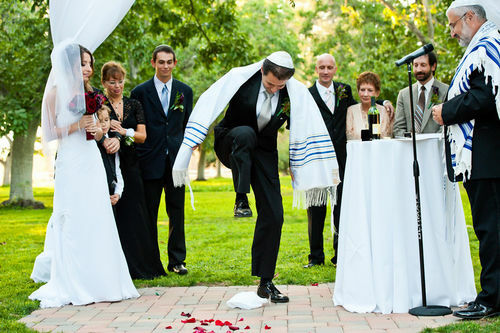 According to Judaism 101 (http://www.jewfaq.org/whoisjew.htm) a “Jew is any person whose mother was a Jew or any person who has gone through the formal process of conversion to Judaism“. The dictionary http://www.yourdictionary.com says that a Hebrew is: “A member or descendant of a Semitic people claiming descent from Abraham, Isaac, and Jacob; an Israelite; a Jew”. If you or I are not born from a jewish mother or have not gone through a formal convertion to Judaism, but love Torah and are observant of all its precepts and follow Yeshua as the Messiah of Israel, what are we biblically? The word “Hebrew” was first applied to Abraham and his family when they came to Canaan. The Hebrew word “ abar” (Strong H5680) means “to pass over,” a reference to Abraham coming from “beyond the Jordan” to settle in the land of Canaan. Also the Hebrew Word H5677 sometimes used as “Hebrew” means “a descendant of Eber” a granfather of Abraham, the third post-diluvian patriarch after Shem (See Gen. 10:24; 11:14; Luk 3:35). Hebrew seams to mean the one who is opposed, of the other side, and different from all others. Abraham was a solitary believer of one God in a sea of idolatry. With time “Hebrews” became a special people who lived in Canaan: in Genesis 40:15 Joseph refers to his “being stolen away out of the land of the Hebrews”. Also the Word “Hebrew” became associated with the only and mighty God “YHWH” and they were called: Exo 7:16 “The YHWH God of the Hebrews hath sent me unto thee, saying, Let my people go”. Today, a “Hebrew” is usually thought of as any member of a group of ancient people who traced their lineage from Abraham though Isaac and Jacob. “And God said unto him, Thy name is Jacob: thy name shall not be called any more Jacob, but Israel shall be thy name: and he called his name Israel. And God said unto him, I am God Almighty: be fruitful and multiply; a nation and a company of nations shall be of thee, and kings shall come out of thy loins; And the land which I gave Abraham and Isaac, to thee I will give it, and to thy seed after thee will I give the land“. Shemo (Exo) 1:7 “And the children of Israel were fruitful, and increased abundantly, and multiplied, and waxed exceeding mighty; and the land was filled with them”. Shemo (Exo) 16:10 “And it came to pass, as Aaron spake unto the whole congregation of the children of Israel, that they looked toward the wilderness, and, behold, the glory of YHWH appeared in the cloud”. 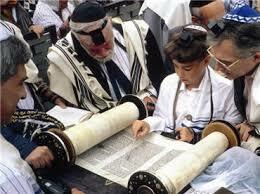 Also YHWH began to teach them Torah, the principles of how to live their lives apart from other semitc people. Shemo (Exo) 24:17 “ And the sight of the glory of YHWH was like devouring fire on the top of the mount in the eyes of the children of Israel”. 1 Samuel 14:21 “Moreover the Hebrews that were with the Philistines before that time, which went up with them into the camp from the country round about, even they also turned to be with the Israelites that were with Saul and Jonathan”. All Israelites are Hebrews because all of them descended fom Abraham, but, not all Hebrews are Israelites. Since only those who descended from Israel can be Israelites, including Jacob, Abraham and Isaac are excluded, they are Hebrews. An Israelite is a person who is part of a nation called Israel. That is way Paul say in 2 Corinthias 11:22 “Are they Hebrews? so am I. Are they Israelites? so am I. Are they the seed of Abraham? so am I”. 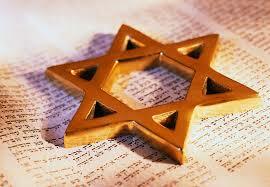 The Word “Jew” or “Jews” (Strong H3064) appears 92 times through out the Tanack (OT). The word comes from Jacob’s fourth son named “Judah,” and his descendants were called “Judahites” or “Judeans.” Later, the name “Judean” was shortened to “Jew.” It appears first in 2 Kings 16:6 and goes through Esdras, Nehemias, Esther, Isaiah, Jeremiah and Daniel. Technically, Jews are Israelite Hebrews from the region of Judea—they come from Abraham (a Hebrew) and Jacob (an Israelite), through Judah (a Jew); thus, strictly speaking, all Israelite Hebrews are not Jews. Because not all come from Judah. With time it became common usage that the words: Jews, Israelites, and Hebrews refer to the descendants of Abraham, Isaac, and Jacob, the chosen people of God. “For I could wish that myself were accursed from Messiah for my brethren, my kinsmen according to the flesh: Who are Israelites; to whom pertaineth the adoption, and the glory, and the covenants, and the giving of the law, and the service of God, and the promises; Whose are the fathers, and of whom as concerning the flesh Messiah came, who is over all, God blessed for ever. Amen. (6) Not as though the word of God hath taken none effect. For they are not all Israel (Israelites), which are of Israel: Neither, because they are the seed of Abraham, are they all children: but, In Isaac shall thy seed be called. (8) That is, They which are the children of the flesh (see Romans 2:28-29 down), these are not the children of God: but the children of the promise are counted for the seed. (9) For this is the word of promise, At this time will I come, and Sara shall have a son. And not only this; but when Rebecca also had conceived by one, even by our father Isaac; For the children being not yet born, neither having done any good or evil, that the purpose of God according to election might stand, not of works, but of him that calleth; It was said unto her, The elder shall serve the younger. 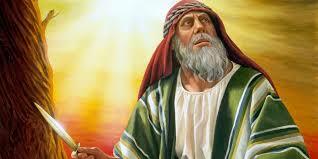 (13) As it is written (God speaking), Jacob have I loved, but Esau have I hated (see Malachi 1:2-3). (14) What shall we say then? Is there unrighteousness with God? God forbid. For he saith to Moses, I will have mercy on whom I will have mercy, and I will have compassion on whom I will have compassion. So then it is not of him that willeth, nor of him that runneth, but of God that sheweth mercy. For the scripture saith unto Pharaoh, Even for this same purpose have I raised thee up, that I might shew my power in thee, and that my name might be declared throughout all the earth (See Exo 9:16)”. Romans 2:28-29 “For he is not a Jew, which is one outwardly; neither is that circumcision, which is outward in the flesh: But he is a Jew, which is one inwardly; and circumcision is that of the heart, in the spirit, and not in the letter; whose praise is not of men, but of God”. Matetiahu (Mat) 15:6-8 “And in no way he honors his father or his mother. And you annulled the command of YHWH on account of your tradition. Hypocrites! Well did Isaiah prophesy concerning you, saying: (Isaiah 29:13) “And YHWH says, Because this people draws near with its mouth, and they honor Me with its lip; but its heart is far from Me, and their fear of Me is taught by the commands of men”. Israel is a nation, with a special location in Caanan and which capital is Jerusalem. An Israelite is a person who is part of a nation called Israel. A Hebrew is that who follow the calling of God and His Mitzvot Commandments). The Chosen People of YHWH. All Israelites are Hebrews because all of them descended fom Abraham, but, not all Hebrews are Israelites. No all Israelites are Jews, only half practice Judaism. Now we that fear God and follow his Mitzvot are Hebrews, Jews and thanks to Messiah Yeshua of the commonwealth of Israel in faith and spirit. And we will always love, sharish and embrace the Jewish People and Israel because from them came the adoption, and the glory, and the covenants, and the giving of the law, and the service of God, the promises and deliverance through Yeshua. We pray for the Jewish People and peace over Jerusalem. 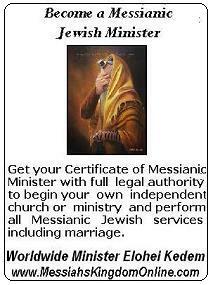 Worldwide Ministry Elohei Kedem We are a Torah-observant Messianic Jewish Ministry (Nazarene-natzerim). We are dedicated to help Christians who love Yeshua (Jesus) to return to the Hebrew roots of the original true faith and the authority of Torah. 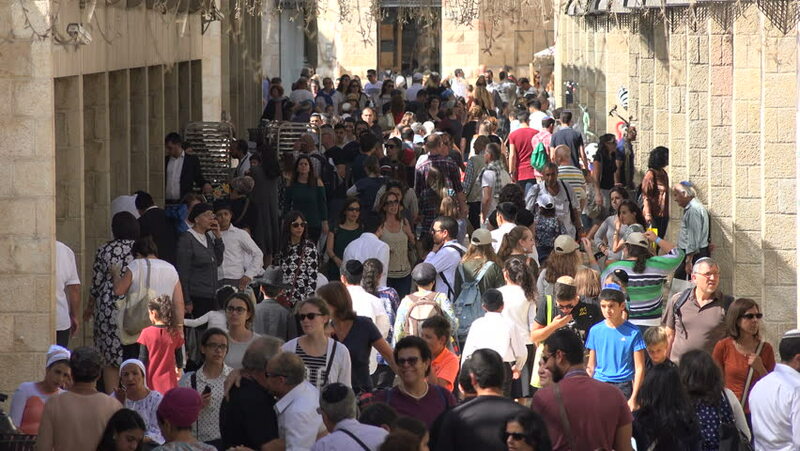 We focus to provide ministers and congregations the knowledge of Nazarene Messianic Judaism practiced by the first Messianic Jewish believers of the time of Yeshua (No God-Man). Rev 14:12 "Here is the patience of the saints: here are they that keep the commandments of Elohim, and the faith of Yeshua". -Rosh Hashana (Yom Teruah) 1 Tishrei (09/30). -Yom Kippur 10 Tishrei (10/09). http://www.addurl.nu/ - Add your website today.